Facebook has released its Messenger Lite app in India, which is focused on users in emerging markets with patchy mobile internet connections. Messenger Lite is a lightweight version of the regular Messenger app. It continues to offer core features of Messenger, while functioning seamlessly on slower connections and low-end Android smartphones. The Messenger Lite app is now available for download on Android via the Google Play Store. The app is only 5MB in size. Being lightweight, the app takes less time to install and quickly boots up even during poor connectivity. The Messenger Lite lets you exchange text messages, photos, links, emojis, and stickers as you did on regular Messenger app. The new app also offers voice calling support and the ‘active now’ indicator. Additionally, the app also lets users view, remove and add members to groups. Prior to India, Messenger Lite was rolled out in countries such as Vietnam, Nigeria, Peru, Turkey, Germany, Japan and the Netherlands. The Messenger Lite comes as a means for people in developing countries where internet connectivity infrastructure is still very nascent. This isn’t the first ‘Lite’ app from the company. 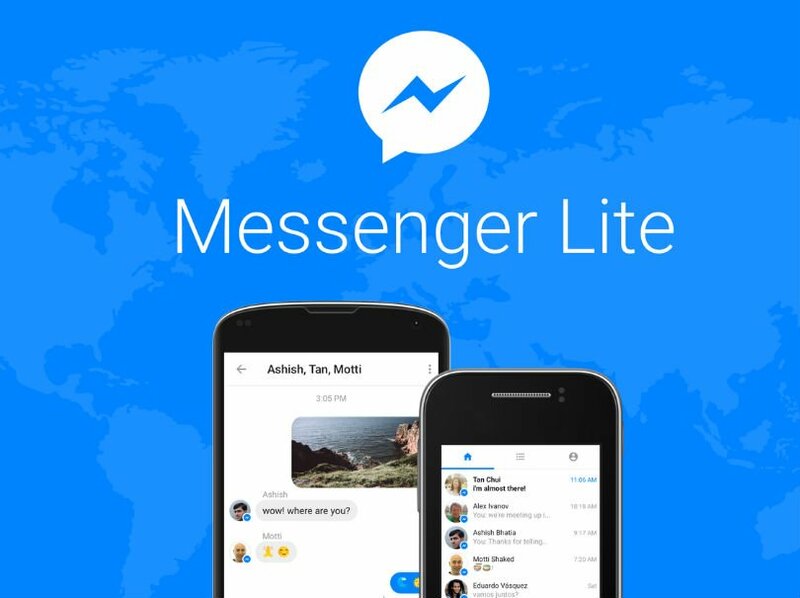 In 2015, the Facebook Lite app was launched for Android users in India. The idea behind the app was the same — working on low-end Android devices and in poor network conditions. The app is less than 1MB in size, and is currently available in over 150 countries with support for 55 languages. In quick time, the app has gone past the 200 million users mark.